On Friday(February 8th) rapper Rich The Kid was spotted out in New York heading to the Jeremy Scott runway show as part of NYFW. 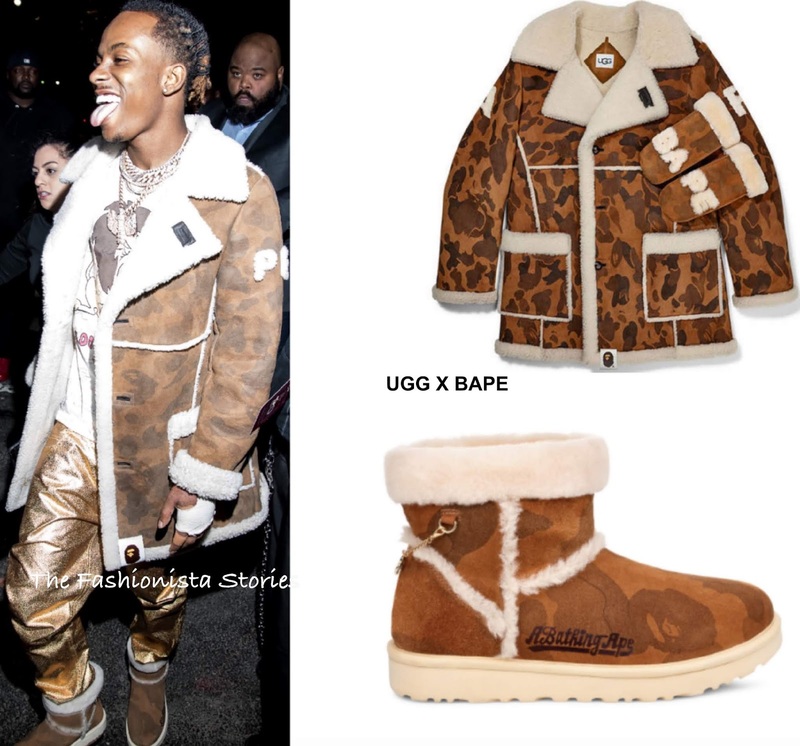 RTK was clearly on his style game rocking the UGG x BAPE SPRING 2019 printed shearling jacket and matching boots. Underneath, he wore a printed tee shirt and some eye-catching gold jeans. Seeing as it is cold in the big apple, RTK's look was perfect, not only for the season but to make a stylish entrance to a fashion show. For more details on the Ugg collaboration collection with BAPE, click HERE.